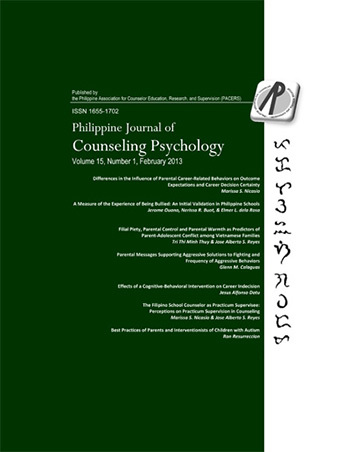 The Philippine Journal of Counseling Psychology is refereed journal published annually by the Philippine Association for Counselor Education, Research, and Supervision (PACERS). 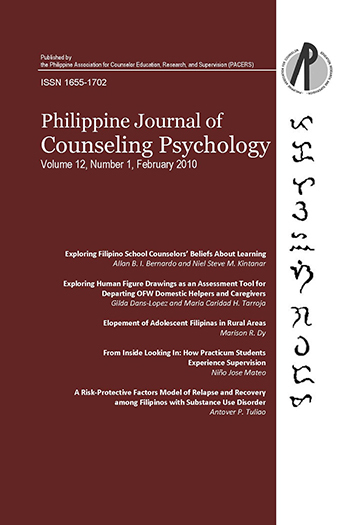 The journal features original research manuscripts on relevant issues that will be of interest to counseling psychologists, counselors, counselor educators, counseling researchers and other mental health professionals working in different settings and within an Asian context . 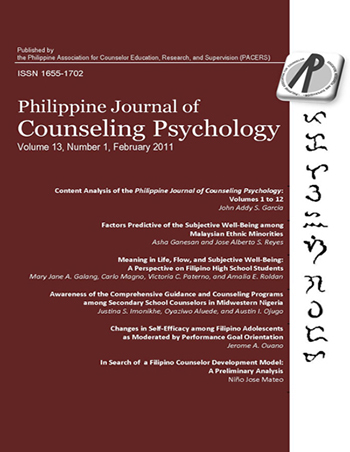 The journal gives special attention to empirical studies on: (1) counseling techniques and intervention strategies; (2) the development and validation of assessment instruments that can be used in counseling; (3) group treatment and development programs; and (4) counselor education and supervision. 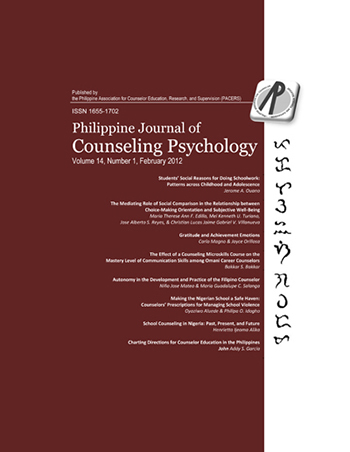 The journal also welcomes critical essays and review articles directly related to counseling psychology.